Have you ever found a recipe to make something you were wondering about, but had no reason to think would work initially? 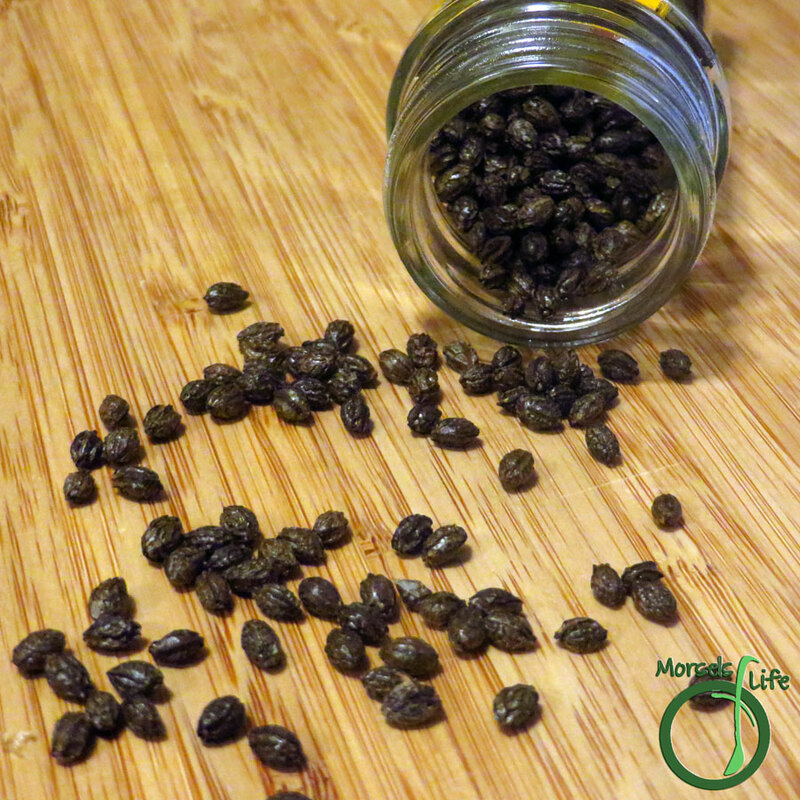 Not sure what to do with papaya seeds and usually just throw them away? 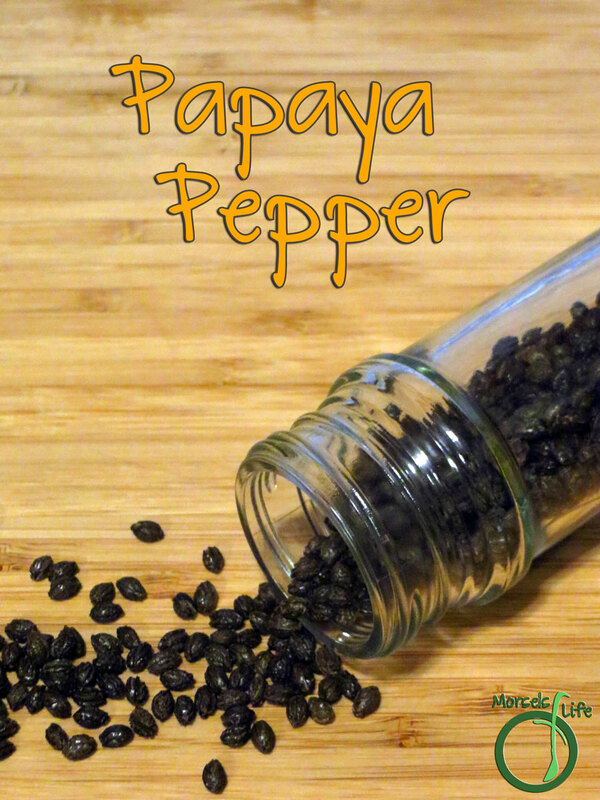 Why not make some papaya pepper instead? 2. 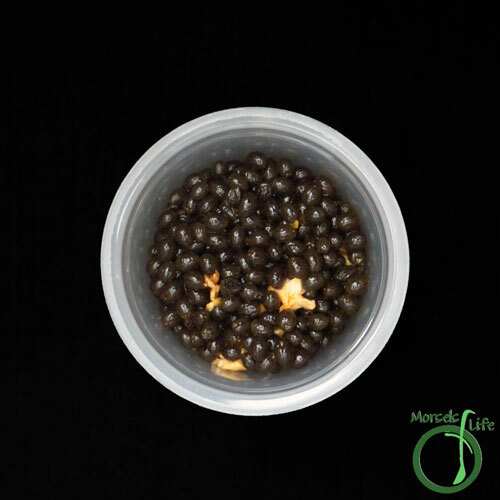 Place seeds in water, and rub to remove any pulp. 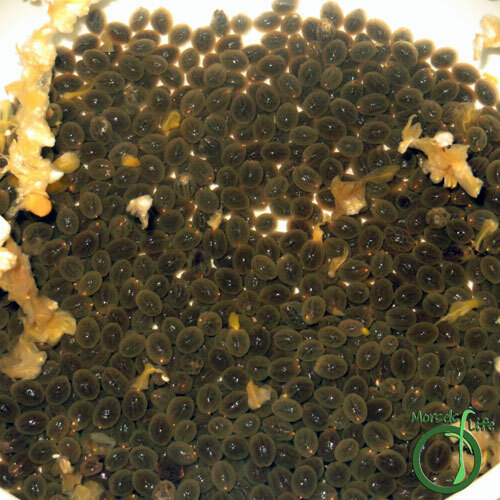 The pulp should float, while the seeds will sink. Skim off any pulp. 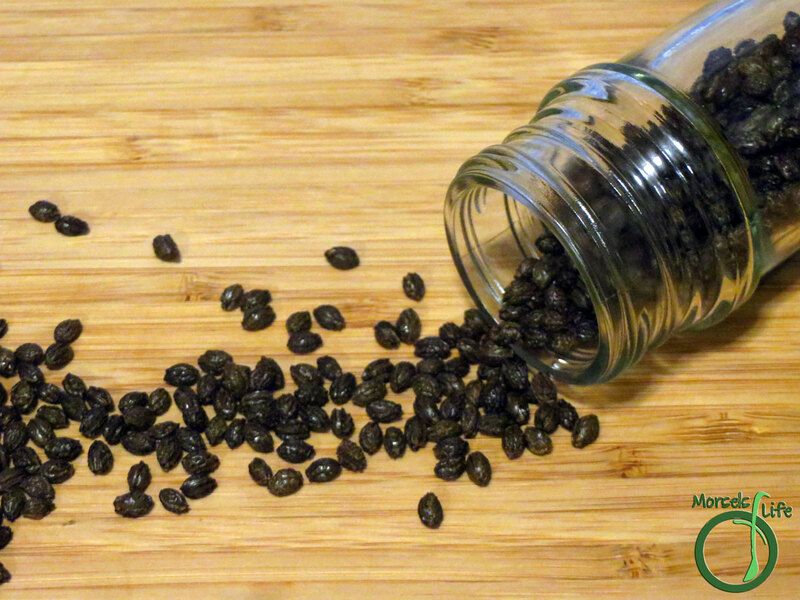 Soak seeds in water overnight. 3. Strain seeds and place on a tray to dry. 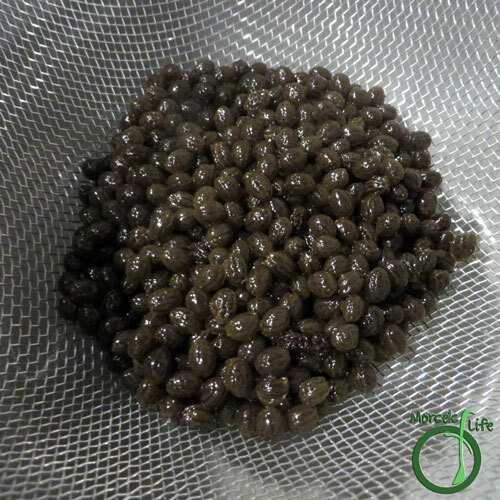 I dried the seeds in an oven set at 200F, and it took about 2 hours. Once the seeds are dry, they're ready to use! How interesting! They do kind of look like peppercorns, but I am glad the flavor is different. What a fun thing to try! I thought it was one of those recipes where it can't hurt to try. I mean, you'd normally throw the papaya seeds out, right? :) We liked the nutty flavor, and it might make a good "kids" pepper! I love papaya seeds and usually put them on salads. What a great idea to dry them and use them year round. I wonder if they would grind well in a pepper mill? Great idea! Thank you for sharing at the Recipe Swap. They work well in a pepper mill. That's how I used them. :) I hadn't even thought about putting the seeds on a salad, and it sounds like a great way to add some texture!